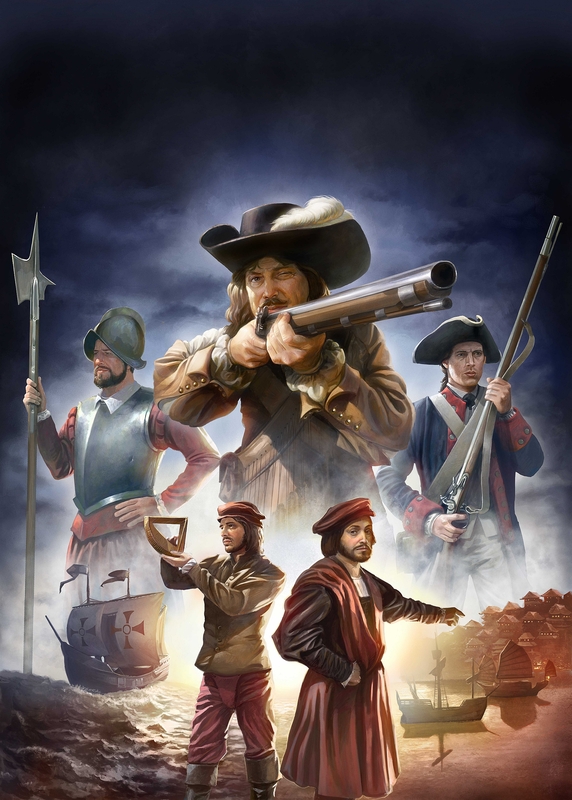 So the fact that the storytelling came across strong with Crusader Kings II, we hope that people can see that Europa Universalis IV also allows you yourself to create the stories when playing the game. You attack your neighbours, alliances gets broken, you get an incompetent ruler and need to get creative on how to handle his/hers strength and weaknesses while keeping your territory hungry opponents at bay. PS: Speaking of which, will EU4 follow Crusader Kings II’s modular approach to expansions (in which core gameplay mechanics are introduced via patch, even for players who don’t buy the expansion), or will it follow the traditional model seen in Victoria II: Heart of Darkness? TJ: We definitely want to keep the modular system going forward. The main reason is patching, with modular DLC even if you choose not buy something you still receive all the patches. Regardless of how money you choose to spend on Europa Universalis IV, you should still receive the very best game we make. The reason that we developed our new system to handle modular expansion, is that gamers can get the small packages that they want when they’re released and it will all be using the same executable, so whichever expansions they own your game will see continued support. There will be no problems with this in multiplayer, and if they have bought one expansion and their friends have bought another, they can still play together. Since we introduced it, we are releasing smaller expansions and expansions more regularly, containing more focused features so that our gamers can buy the ones they want, skip whatever they like and get the most for their money. Now we can try out both larger and smaller ideas, create DLCs that a smaller part of our community requests, create something completely different, provide enhanced graphics and sprite packs for those who want without forcing all gamers to get them etc. PS: Now I’d like to ask you about how EU4 will play out – starting with “big picture” questions, and drilling down to specific mechanics. One of the most important themes in world history has been the “Great Divergence” between Western Europe and the rest of the world, starting towards the tail end of the Europa Universalis period. EU3 sidestepped the debate about what caused this, and simply modelled it with a hardcoded fudge factor: Western Europeans researched technology faster than Eastern Europeans, who researched faster than the Islamic world, etc. 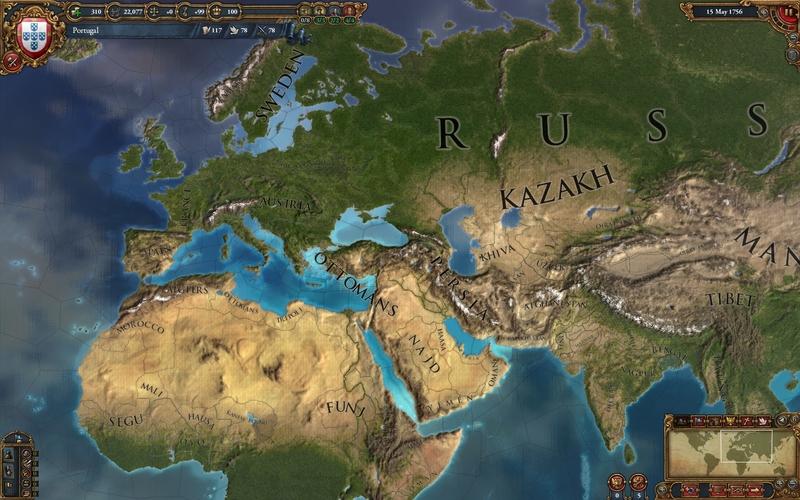 How are you tackling this in EU4 and what made you choose this approach? TJ: We are keeping the Europa Universalis III approach of tech groups and variable tech costs, with the ability to westernise. We feel that this is one of things that makes Europa Universalis Europa Universalis and thus don’t want to play around with it too much. PS: I felt that EU3 suffered from the traditional strategy game “snowball effect”; once the player hit the midgame, empires became bigger and more micromanagement-intensive, but the game itself became less challenging. 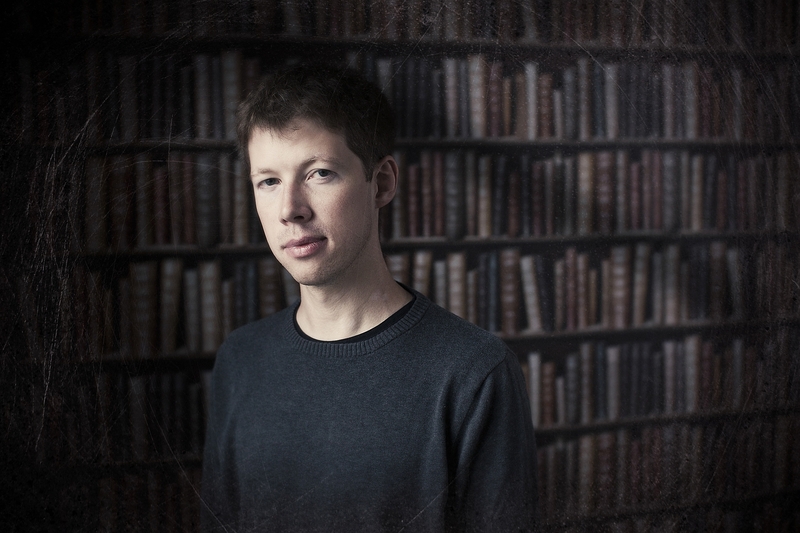 TJ: That is indeed a traditional strategy game challenge when players reach a point where they know that they have won and end the game before the formal victory. So, how to create new challenges for the players and prevent static gameplay? Our new system with monarch points in Europa Universalis IV is definitely one of our ways to handle this. 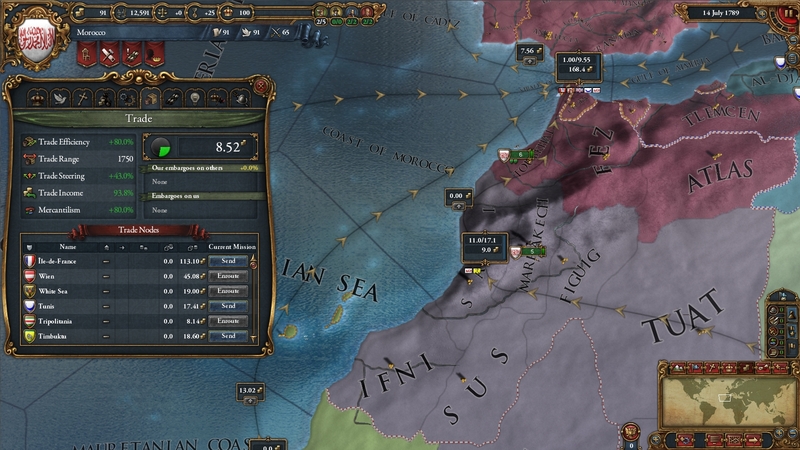 The idea to use Monarch power in Europa Universalis IV is partly based on one of the things we love the most with Crusader Kings II – that the game can never reach a point when it goes so well that the gameplay gets static. Because you are always need to play tactical to get the most out of the situation even with a limited ruler. This will make the game challenging all the way through. The monarch points are used for virtually all actions in game. These are the same three categories as you found in the previous incarnations of Europa Universalis. For example a monarch’s military ability is now used to buy land military technologies, land military ideas, build manpower enhancing and recruit time reducing buildings, buy leaders, assault fortress and other actions with your troops. So if you have a monarch with a high military ability you are going to have an advantage in the military sphere as compared to neighbours and now is probably the time to wage war. In my early test games I found myself looking at my heir and despairing because although he had good abilities he didn’t have the ability I wanted. Our new system where monarch ability places restrictions on the player according to the ability of the monarch. Depending on the leader and his/hers abilities and traits, you really need to be aware and change your tactics to gain as much as possible from the strengths and weaknesses of your ruler. If you have a strong monarch, you will receive more points so you will grow faster. A poor monarch and you will do this slower. Your country and what you’ve built stays the same, but the challenges facing you changes. Thus you will have an ebb and flow of countries, and although things may seem a bit grim at the moment you always know that you are one good monarch away from a comeback Elvis would have been proud of. PS: Can you comment on how the mid-to-late game play out in EU4 – both in terms of challenge/pacing (and how this is affected by new mechanics such as the revised badboy system, imperial overstretch, and monarch points), and also how e.g. the Enlightenment might feel different from the Baroque or Reformation periods? TJ: The snowball effect is one of those things that strategy games suffer from, so we put our collective thinking caps on and thought about what we can do to at least slow down the problem. So we looked to history where countries had their moment in the sun and then declined. The early part of the Europa Universalis period are countries like Spain and the Ottoman Empire, by the end it is countries like France and Britain. Now there are a variety of reasons for this, but one thing we could identify was the personality of the ruler. The system of monarch points seeks to capture this. Strong rulers give the player more freedom and dynamism than weak rulers. The use of technology means a country like the Ottomans if blessed with the series of strong rulers can prove a match for Western powers with average leadership. This makes the game less an uninterrupted march of progress and leaves you playing to your monarch and their heir. PS: Perhaps the feature that I’m most excited about is the new trade system, which promises to tie into naval strategy and overall geopolitics. One example you’ve previously cited is the traditional Asia->Europe maritime route, via the Red Sea and the Venetian/Ottoman-dominated Mediterranean, withering once a player discovers a route around the Cape of Good Hope. Could you elaborate on how this system will play out in Asia? For instance, would Portugal’s 16th-century bid to secure chokepoints around the Indian Ocean make sense within EU4? Might we see the Americas-Manila-China trade route that sprang up in real life? TJ: One of the purposes of the trade system was to make historical decisions countries made (like the Portugal’s bid to secure choke points) make sense in game. We have two types of trade node, those that simply pass trade on and allow local countries to dip in and take money from it and those that split trade. To steer trade you need to use one of you merchants (which you don’t have that many of, so you need to focus on certain trade routes) to pick the direction of the steer and your ability to steer depends on your power. Power is generated from provinces in the node and ships. The neat thing is we do not assume that all provinces are equal. If you look at the area around the entrance to the Red Sea, Muscat (which the Portuguese seized) and Aden (which the Ottomans seized to counter the Portuguese) are worth more than the other provinces. Thus although all provinces are useful, the first ones you should go for are those keep choke points. At the moment we’ve added two trans pacific trade routes, one in either direction. So not only could you have the Chinese Trade head across the Pacific to Europe but an enterprising Asian power could also set up its own American Empire and see the wealth of the New World flow to them. TJ: Unfortunately the answer is no, the reason for this is the biggest mistake that a developer can do is try to do too much. With Europa Univeralis IV we set ourselves the goal of carving out a niche for naval power to give it a central role in the game. The tie in to trade achieves this nicely. Our current development goal is to continue to refine and improve this so it can be the best system we can make it. Europa Universalis IV will be released on 14 August, 2013. 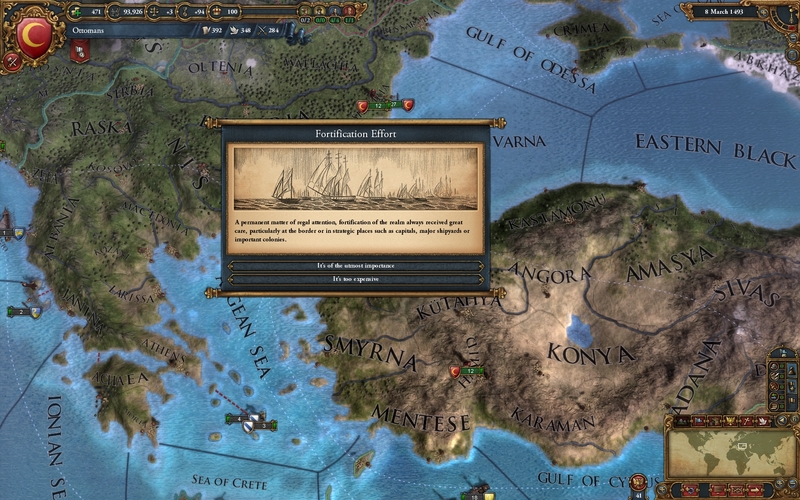 All Europa Universalis IV images in this article were supplied by Paradox. That was a great crop of questions dude. Thanks for publishing. Previous Previous post: Any questions for Eugen Systems?